An F-18 Navy fighter careens out of the blue sky above the Mojave desert. A TV cameraman who grew up in a small town just miles away can see what is going to happen next. Frantically, Wes Stewart races to the downed jet and tries to save the pilot’s life. 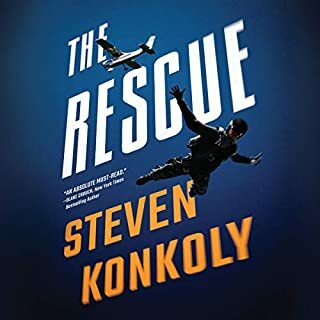 When the plane explodes, Wes escapes without harm—and plunges into a murderous conspiracy. Wonderful Brett Battles stand alone novel! 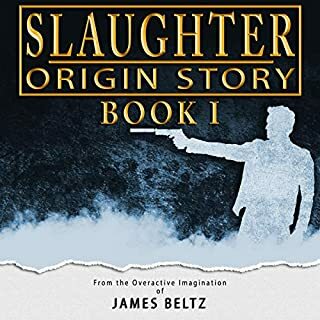 What Nate had hoped would be a simple mission turns into something much more sinister, when he discovers a wide-reaching evil, festering in a small Northern California town. To confront it, he will need all the skills he’s learned working in the shadow world. 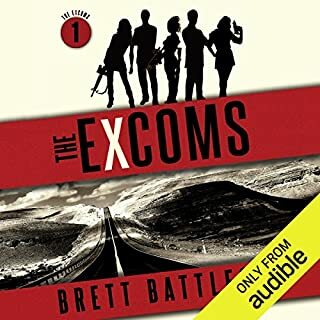 ©2019 Brett Battles (P)2019 Audible, Inc. 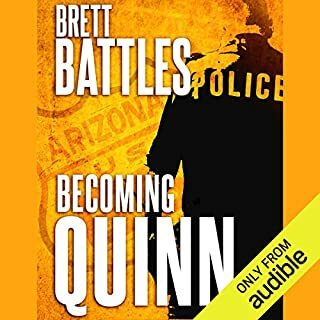 This is a wonderful spinoff from Brett Battles's Jonathan Quinn series. The protagonist in this new series is Jonathan's partner Nate. With the start of this book we find Nate disabling and binding a group of men who have been robbing quick mart stores. He's not getting paid for this, he's a vigilante. Who tells him who needs defending ? His murdered girlfriend Liz of course. He knows when he hears her it's just his subconscious. He thinks. Nate still has his day job but Liz sends him on a road trip. A teenage girl has been hit by a car. Everyone says it's an accident. Liz "tells " Nate that it's not. His mission requires using all his skills and toys and a few friends he picked up while working with Quinn. Nate uncovers many secrets and too many wealthy men willing to take advantage of young women desperate for money. Lots of internal thought processes and intricate planning. Zach Villa does an excellent job narrating. Fantastic! I’m a huge fan of anything Mr. Battles puts out and have found his work to be consistently great, but this was exceptionally well done. Mr. Villa does nothing less than a superb job at being the voice of Nate, and this makes all the difference. 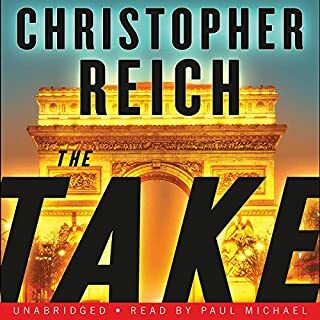 If I were to find fault with anything I’d say that it was just too short, ended too soon...should have been a 20 hour book...because I want more! Bravo Mr. Battles and Mr. Villa! Just enough tech stuff to make the story interesting. Just enough super hero stuff so we can cheer for the good guy. Just enough softhearted stuff to make the hero lovable. Just enough plot twists to keep us from predicting what comes next. The worst thing about this book is that you forget who Nate is, meaning in the larger Quinn series. He seems like a new person to get to know. Even the telephone cameo of Quinn himself is unrecognizable. This isn't necessarily a bad thing. Then this isn't as shooting and killing as the Quinn books are, this one is more investigative than retributive. And that's okay too. Nate is accompanied/haunted by his dead girlfriend, Quinn's sister. That's kind of weird but okay. She has turned him into a non-lethal vigilante. Nate slips invisibly into a small town to solve a crime that becomes more and more entangled as he gets at the truth. The book is engaging and interesting all the way through even though it's hard to see the Quinn-book Nate in it. See, I gave it 5 stars. Great book! Totally awesome narration.. Except for it being written in the first person, which I hated, I loved this entire book. BUT I think that was because of the narrator. It was all about Nate, who has a day job, but his nighttime job is working at his hobby; taking care of bad guys. First a gang of robbers then out of town to take care of solving the case of a 17-year-old girl who was run down in the streets. And what a problem it turned out to be, involving congressmen and senators and drugs and under-aged girls. The best part was his DEAD girlfriend always whispering to him, and Jar his computer genius that lives eight-thousand miles away. Together they did amazing things. No romance and the F-bomb was used 1 time, which was a bummer as far as I'm concerned. All those bad guys, and a bunch of college boys and that F-bomb was only used once. In real life THAT would never happen. I like to keep it real when I read this kind of book. As to the narration: Zach Villa was absolutely phenomenal. Not only his male and female voices but his way of reading. He actually snorted when it was called for and, OMG, he had some of the best sarcastic lines I’ve ever heard. I had to laugh more than once. I will definitely check to see what else he’s narrated. Nice mystery. Nate proves to be a talented FixIt dude. The invisible angel on his shoulder adds contrast to his toughness. The overseas IT help is a wizard. Story put together well. Will be a series I continue. 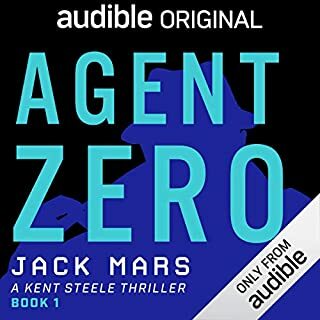 This is my first review and of the many, many audio books I have listened to, the first that inspired me to write a review. 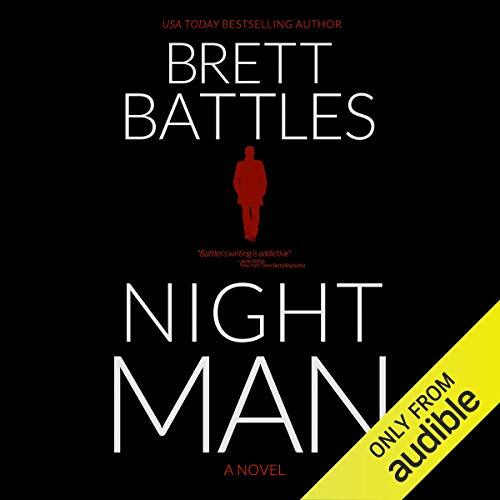 I really enjoyed Brett Battles series where Nate plays a secondary role. But here he is the main character and I thoroughly enjoyed the listen. I enjoy it when the good guys kick a** and win the day and hopefully come back to do it again. When the nightly news has nothing but bad news, a book like Night Man helps to keep one's spirits up if only for a short time.